I found this picture Â at Ross and it immediately sparked my eye. I tried to hide it so no one could get it then when I went back into the store the next week it was gone. Two days later, I went into the store and there it was again! I knew that this was meant for me to have. I bought it and put it in my dorm room this year. I’m really big on nice inspirational quotes just because I believe one positive thought can change your day. I have done a couple of DIY paintings for my dorm room filled with positive thoughts that really helped me get through this semester. So! 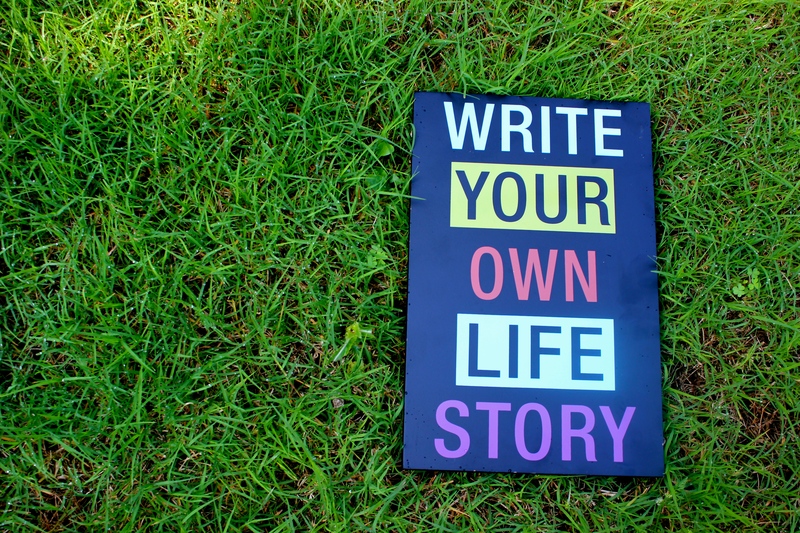 Write Your Own Life Story. To me that means simply living for yourself and doing what you truly want to do! I know I used to do things simply because I wanted my parents approval and I wanted them to be happy or proud of me. Previous Post #THINKTINK: 5 Reasons Why I Love Tink !